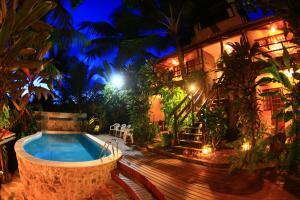 Situated in Praia da Pipa, 250 metres from the beach, Pousada Casa Da Praia Pipa boasts an outdoor pool and barbecue. All rooms have air-conditioning You will find a 24-hour front desk at the property. Ecological Sanctuary is 1.6 km from Pousada Casa Da Praia Pipa, while Chapadao is 2 km from the property. São Gonçalo do Amarante International Airport is 63 km away. 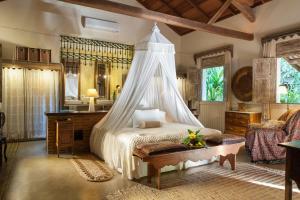 When would you like to stay at Pousada Casa Da Praia Pipa ? Please inform Pousada Casa Da Praia Pipa in advance of your expected arrival time. You can use the Special Requests box when booking, or contact the property directly with the contact details provided in your confirmation. Payment before arrival via bank transfer is required. The property will contact you after you book to provide instructions. Each day we'll check prices and send you an email for your selected dates at Pousada Casa Da Praia Pipa. If you don't have specific dates but would like to check prices for say next weekend or say next month we can check the price too. Click to write a review and share your experience of Pousada Casa Da Praia Pipa with other travellers.